DACIA LOGAN (2010) 1.6 BENZINA/GPL 64KW 5P. SCATOLA CENTRALINA PORTA FUSIBILI. Anno: 2010. - per i Paesi Bassi: Isole Bes, Aruba, Curacao, Sint Maarten. - per la Francia: Guadalupa, Guyana Francese, Martinica, Riunione, Saint Barthélemy, Saint Martin. Dacia Logan / Van / Mcv / Pick Up. Coperchio Blocco Fusibili. Ricambio Originale. Note Importanti Risoluzione problemi. (Per maggiori informazioni contattateci). N.B. Non è possibile accettare la restituzione sul materiale elettrico / elettronico. 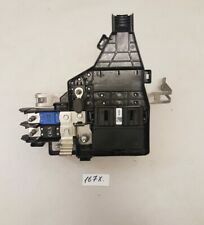 Item Specifics:2010-2017 - MK1 - 1.5 DIESEL - FUSE BOX. Part:Fuse Box. 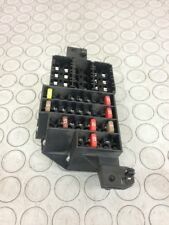 This Fuse Box was removed from a2016 car and has been fully inspected. Sicherungskasten Motorraum. Dacia Duster 16V. Wir versuchen für alles eine Lösung zu finden. wie abgebildet. speziellen Markierungen und teilweise auch mit Plomben versehen. Unsere Teile werden vor dem Ausbau überprüft und wir beschreiben unsere Teile bestmöglich. ,DACIA LODGY,DOKKER,LOGAN 2,SANDERO 2. pour Renault/Dacia. DACIA DUSTER 2014. UNDER BONNET FUSE BOX. PICTURE OF THE CAR IS FOR ILLUSTRATION ONLY. AJ SPARES is a large independent Vehicle Dismantlers. South Yorkshire. The Blue Containers. DACIA SANDERO LAUREATE 1.5 LITRE DCI 2013 MODEL. UNDER BONNET FUSE BOX. W.B (BAY 6). PICTURE OF THE CAR IS FOR ILLUSTRATION ONLY. AJ SPARES is a large independent Vehicle Dismantlers. South Yorkshire. Other Part Number 120Pcs. Unit Quantity 1. Other Part Number FUSE BOX. Manufacturer Part Number Does Not Apply. EAN Does not apply. Boîte de 10 Mini Fusibles Enfichables. - 1 Fusible de 10 Ampères. - 1 Fusible de 25 Ampères. - 1 Fusible de 20 Ampères. - 1 Fusible de 15 Ampères. Boîte de 6 Fusibles Broches Enfichables. 1 Fusible verre de 2 Ampères (pour autoradio - 5x20mm). - 1 Fusible de 15 Ampères. - 1 Fusible de 30 Ampères. - 1 Fusible de 25 Ampères. LOW PROFILE MICRO BLADE FUSES. low profile MICRO ' available on the market. make Supersized seem small. 1 x 15 amp. 1 x 20 amp. 1 x 25 amp. 1 x 10 amp. 1 x 30 amp. Sandero Stepway Ambiance TCE (MK2 (B52)) (ABS). Fusebox Cover. 898cc 90/66 12v. Interior Trim Code. The table below contains further information. Internal Part Reference Number. This item is a used vehicle part and as such may have signs of general wear/handling. UNDER DASH FUSEBOX. DACIA DUSTER 2014. South Yorkshire. The Blue Containers. AJ SPARES is a large independent Vehicle Dismantlers. 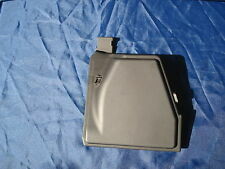 Sicherungskasten Original Dacia NEU . Dacia Pick-Up. (Dacia Duster 16V. scatola fusibili del vano motore. Articoli con sigilli rotti o non più esistenti. se danneggiata o la soppressione del diritto di recuperare i costi scade. Marks & Siegel. Vedere M ich -Pagina). MINI BLADE FUSES. MINI style fuses. MINI Fuses. 15 Amp (Blue) x 10. MINI BLADE FUSES. MINI style fuses. MINI Fuses. 10 Amp (Red) x 10. MINI BLADE FUSES. MINI style fuses. MINI Fuses. 20 Amp (Yellow) x 10. 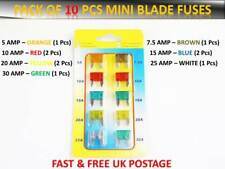 MINI STYLE BLADE FUSES. MINI FUSE ' available on the market. 1 x 30 amp. 1 x 25 amp. 1 x 20 amp. 1 x 15 amp. 1 x 10 amp. 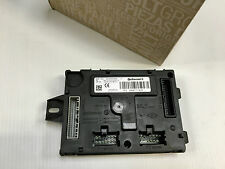 PART NUMBER - 243809584. DACIA LOGAN MCV 0.9 LITRE PETROL 2016 MODEL. UNDER BONNET FUSE BOX. AJ SPARES is a large independent Vehicle Dismantlers. The Blue Containers. MINI BLADE FUSES. MINI style fuses. MINI Fuses. 5 Amp (Amber) x 5. MINI BLADE FUSES. MINI style fuses. MINI Fuses. 2 Amp (Grey) x 5. Get Supersized Images & Free Image Hosting. MINI BLADE FUSES. MINI style fuses. MINI Fuses. 3 Amp (Purple) x 5. Get Images that. MINI BLADE FUSES. MINI style fuses. MINI Fuses. 4 Amp (Pink) x 5. MINI BLADE FUSES. MINI style fuses. MINI Fuses. 25 Amp (Silver) x 5. Get Supersized Images & Free Image Hosting. MINI BLADE FUSES. MINI style fuses. MINI Fuses. 30 Amp (Green) x 5. Caja reles / fusibles DACIA DOKKER Ambiance, Año: 2015 A2C92226605. No se realizan envíos internacionales en territorio insular. 30AMP --- 2 PCS. 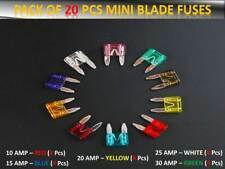 MINI BLADE CAR FUSE SET. TOP QUALITY CAR BLADE FUSE SET. EACH SET INCLUDE.